In the wake of recent crackdowns regarding file hosting websites, the Higher Regional Court of Hamburg has ordered RapidShare to proactively monitor user uploads in an attempt to weed out copyrighted content. It’s highly unlikely that the company would be able to do so without the assistance of a software-based solution, as noted by The Verge. The verdict is said to contradict an earlier ruling by the highest European court which said cyberlockers can’t proactively filter content as it would be an invasion of privacy for the users involved and effectively hinder the freedom of information. This brings up a valid point and is one of the reasons I elect not to store any sensitive data off-site. I fully understand their reasoning behind the screening but in the same respect I’m not thrilled with the idea of having strangers viewing everything I upload. After all, who’s to say a disgruntled employee couldn’t cherry pick content from the hundreds of thousands of accounts at his / her disposal? 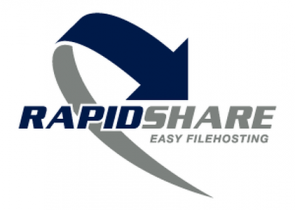 RapidShare told TorrentFreak that they are unsure if they will appeal the decision.